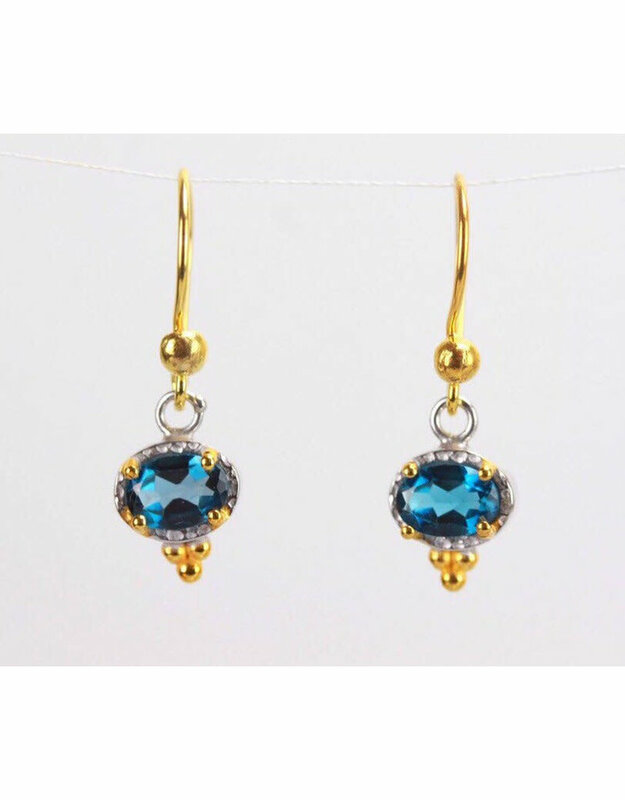 Two london blue topaz stones are set in these gold-plated sterling silver earrings by AmbicaNYC. Topaz is a silicate mineral with aluminum and fluorine. 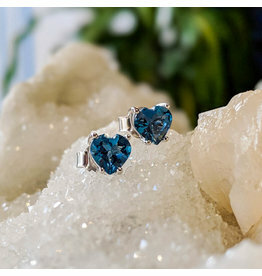 It is usually colorless, yellow, and pink, but naturally occurring blue topaz is quite rare. Most blue topaz on the market was artificially irradiated. Making topaz blue takes months to years of artificial irradiation depending on the shade of blue you're after. 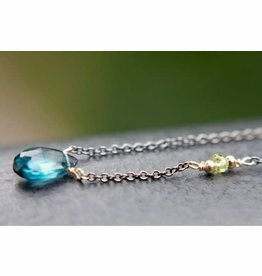 It starts with colorless topaz crystals. The stones are bombarded with a beam of subatomic particles. These particles kick electrons out of orbit and cause other damage to the crystal lattice, which changes how light traveling through the crystal is absorbed and reflected, which changes the color. 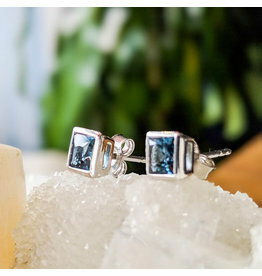 The process to achieve the deep, dark, "London" blue topaz in these sterling silver earrings takes 3 to 4 years. 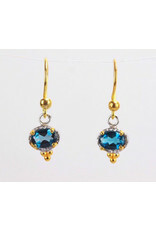 How does AmbicaNYC interpret London blue topaz, peridot, gold and silver?